Four PhD students at the Institute for Manufacturing (IfM) participated in the 2015 Carl Zeiss Photography competition organised by the University of Cambridge Department of Engineering. 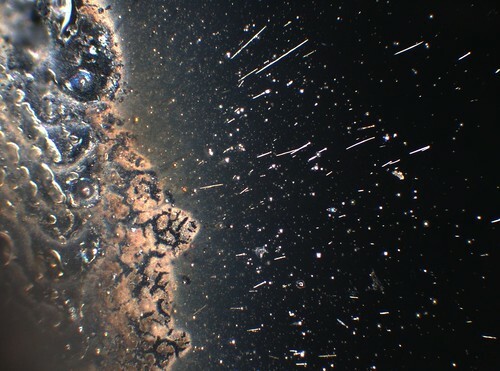 Andy Payne, a PhD student within the Centre for Industrial Photonics, won second prize with his microscope image of a titanium ‘comet’. The image originated from an attempt to join sapphire to steel by using laser irradiation and titanium foil as a flux. This is not the first time for Andy: last year he won the Head of Department’s prize for the photo or video with the most innovative engineering story behind it with his video showing the rise and fall of blue and brown liquid crystal mountains. 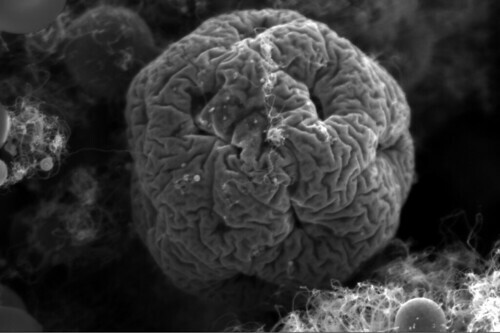 Jean de la Verpilliere, a doctoral student working in the NanoManufacturing group, entered a series of fascinating images from his work in nanomanufacturing, such as that of a ‘nano-brain’, an exploded nanoparticle whose aspect is reminiscent of a brain, a ‘nanoctopus’ and a ‘nanoskyscraper’. 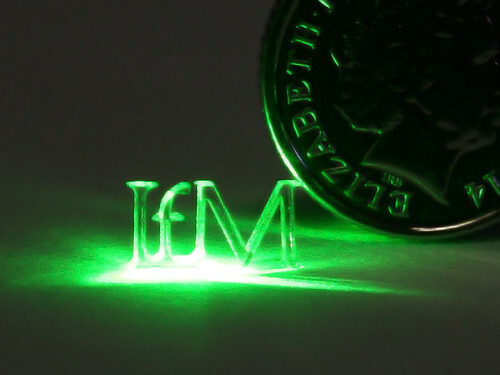 Wenhe Feng, another PhD student in Industrial Photonics, shared the picture of a glass logo of the IfM fabricated by Femtosecond Laser Induced Chemical Etching (FLICE) which was the size of a quarter of a 10p coin. In the video category, doctoral student Qingxin Zhang, who is part of the Inkjet Research Centre and the Fluids in Advanced Manufacturing Group, represented the IfM. She submitted a video of the bouncing behaviour of microdrops which can occur under specific conditions when inkjet-printing small drops onto a liquid surface. The annual Engineering Department photo competition, sponsored by optics and optoelectronics leader ZEISS, aims to show the breadth of engineering research at the University. This year’s winning images can be viewed here.